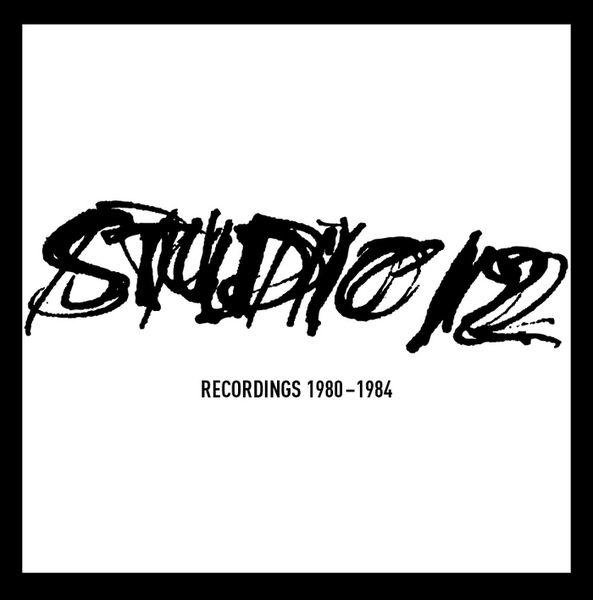 V-O-D celebrate one of the most exciting dutch labels of the ‘80s with a crop of Studio 12’s Recordings 1980-84 mostly pressed on vinyl for the first time, giving a rarely paralleled insight to the Haarlem-based Ultra Movement which is responsible for so much brilliant music from the legendary Netherlands’ squat scene. 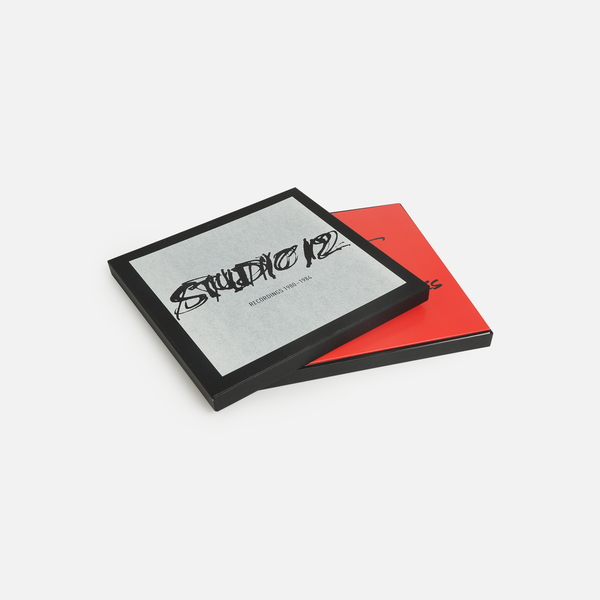 If you’re into anything from Minny Pops’ cold wave to Legowelt’s abstract, furtive sci-fi flights, the creamiest annals of AFX’s SAW II session or Hospital Productions darkest ambience, this one’s going to blow your mind! Documenting in-depth the interrelated constellation of Studio 12 projects revolving label head Wim Dekker (co-founder of Smalts, Minny Pops, Streetlife) including Nexda, K&I, Vitaal, die Krü Blødt, Cargo Cultus, the boxset serves to reveal a hitherto hard-to-grasp section of the dutch underground at the epicentre of the whole cold wave and minimal synth nexus in a perfectly accessible manner that keeps it enigma intact while laying it all straight for everyone who needs it. There’s a lot of material so we’ll take it from the front, where we’re greeted with two compilations volumes of Muzak For Critics and A Thousand faces, both establishing the aesthetics that flow thru the other three LPs + 7” with the bestial drone grind of Pieter Mulder placed beside mouth-watering pastoral ambient from Siebe, the gaunt special apparitions of Wim Dekker, and pure sour gold such as Two CC’s Electronic Piece I + II, plus a clutch of spiralling drumbox grooves on the 2nd disc razzing from Smalts brisk Werktitel to Nexda’s bendy steppers and the tribal post punk torque of Heathrow. On disc three they drill down into the archive of K&I with the crumbling horror synths and fizzing avant-funk of their Promise Promise  tape backed by the blitzed but groovy wonk of die Krü Blødt’s Bas Tapes Drums . 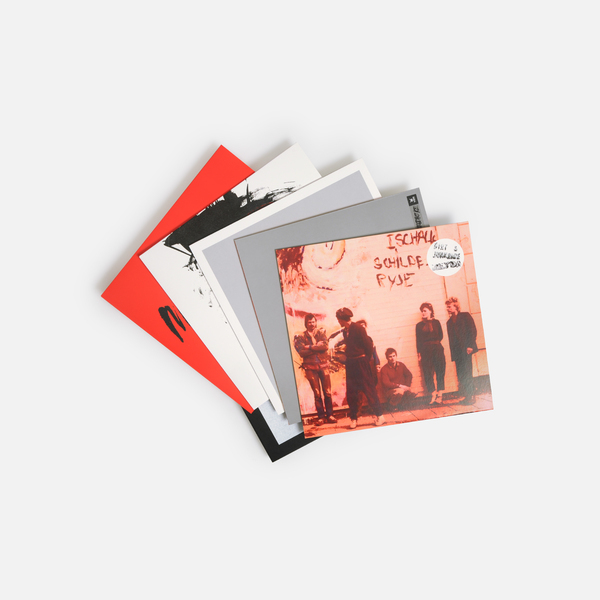 Likewise disc 4 focusses on Nexda, whose Karin Hueting also played in K&I, with a totally compelling slew of nerve-dancing post punk dub from the Red and Black tapes trampling like The Slits’ unhinged dutch cousins, or something. And finally the 5th disc coughs up more Nexdamadness with their Dirt & Junkride turning up some killer steppers backed by a flush of material from all sorts, notably a 16 minute live Smalts cut, and Terminals coming off like The Fall. Chip in a dancefloor-ready 7” from Vitaal and there’s got enough to keep you occupied for a long time.